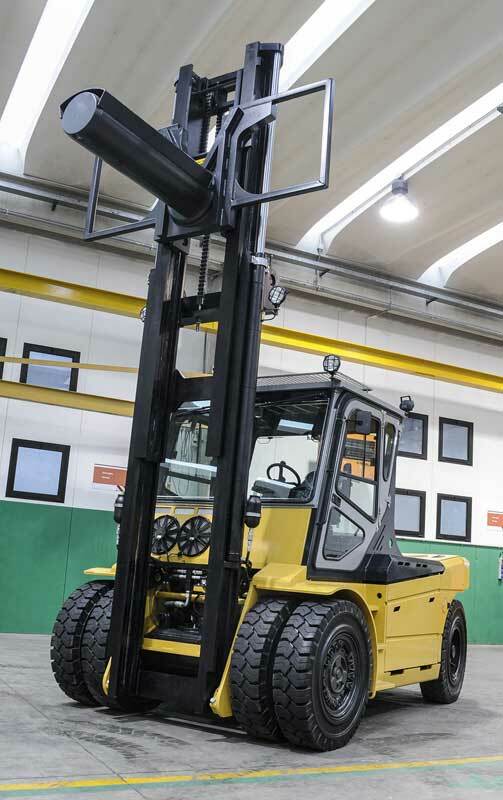 The R120-160 forklift trucks are the maximum expression of the force and power of Carer’s standard range of forklift trucks. 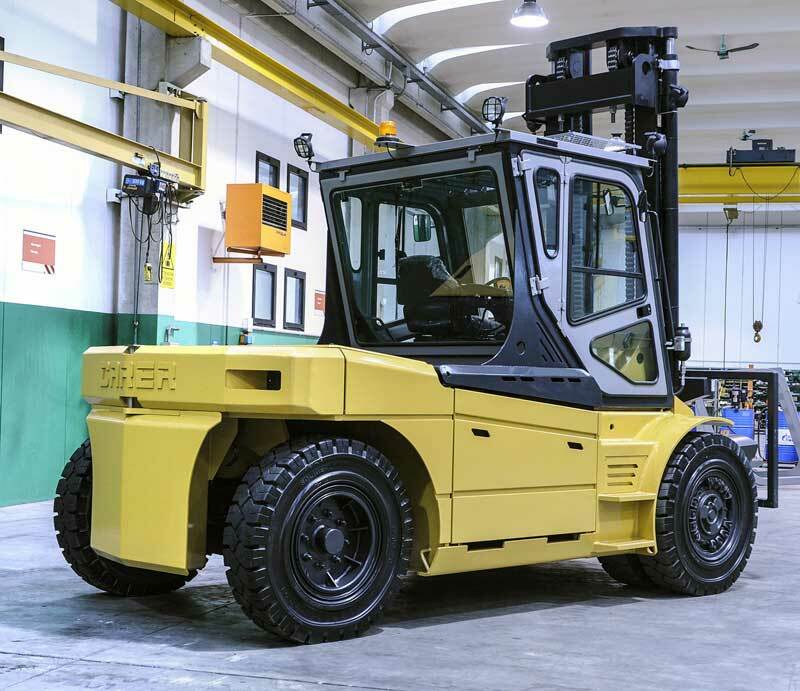 They can handle loads weighing up to 35,000 lbs. 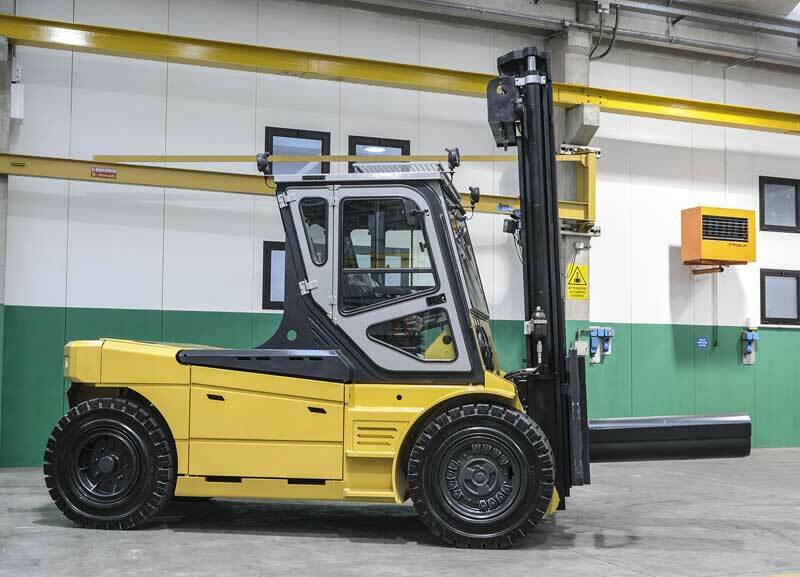 Fitted with a tilting cabin to ensure the battery can be quickly and easily changed, this forklift truck combines high performance, long operating time and compact size. 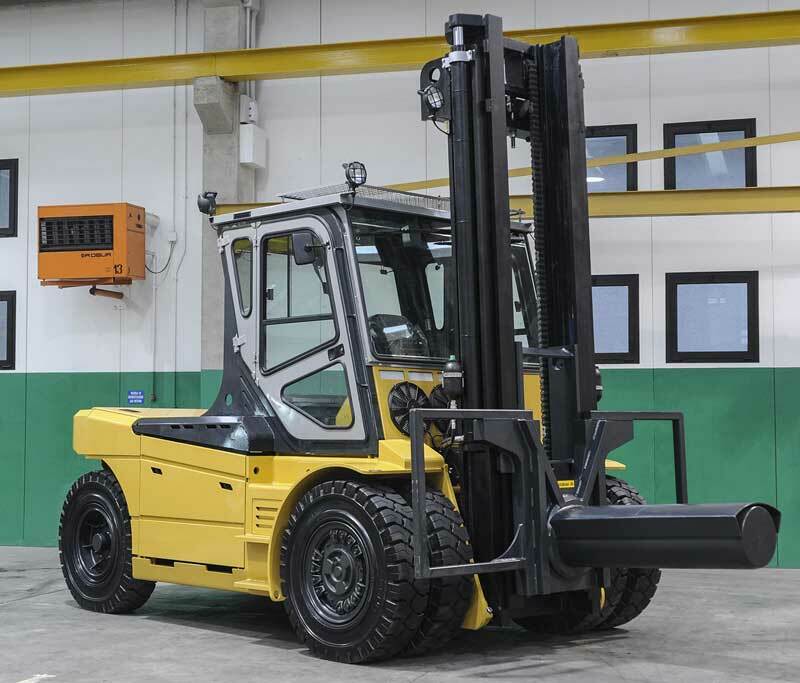 Ultra elastic twinned tyres make this range of forklift trucks ideal for outdoor use. The driver’s seat is carefully designed to offer maximum operator comfort: the steering wheel and seat have wide adjustments and perfect visibility in every direction. 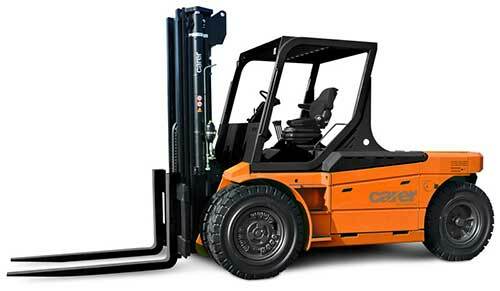 The electronic traction and lifting control ensure silence and maximum motor performance. The system is fitted on a single panel, is protected and positioned in the designated compartment on the dashboard to allow for easy access and maintenance. 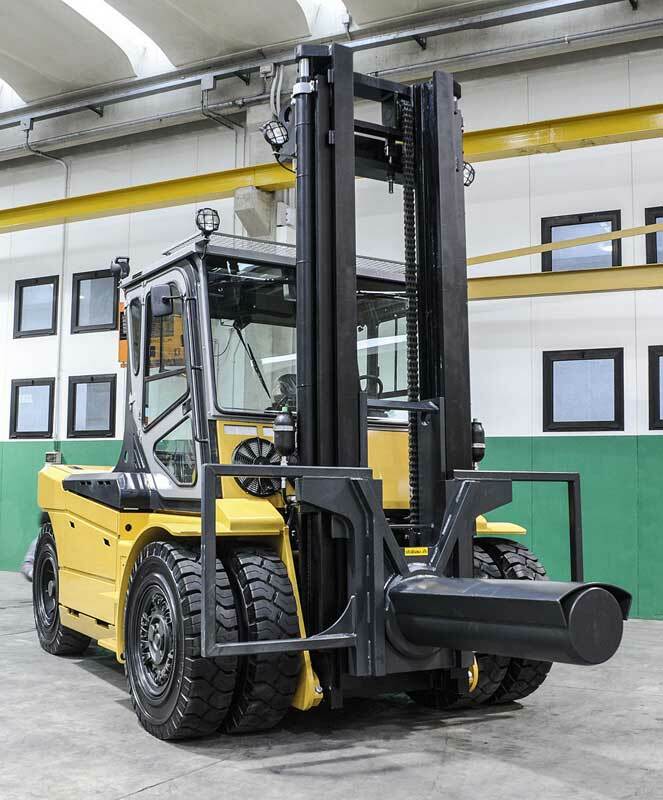 The R120-160 series forklift trucks have a sturdy axle that allows for very wide steering angles. The oil-bath brakes ensure maximum effectiveness of the braking system and reduce maintenance costs. 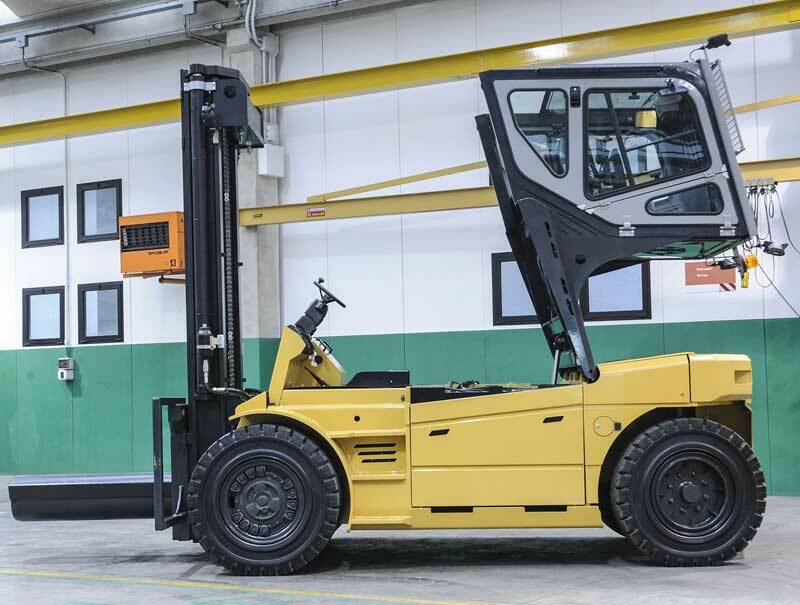 The intensity of the electric braking with energy recovery can be adjusted based on operator preferences. 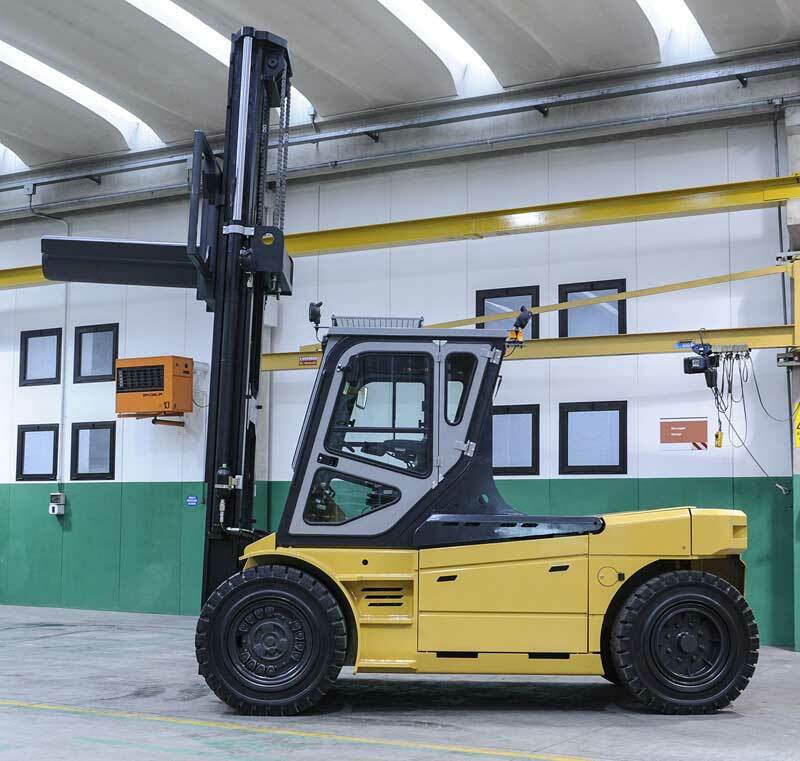 The hydraulic hoisting of the driver’s cabin makes it easier to take out the battery, which is divided into two boxes placed next to each other and located between the forklift truck wheels. Capacity 26,000 - 35,000 lbs.